1. What is the elevation of the Truckee Airport KTRK? 2. What other flight activity should a pilot be aware of when flying to/from Truckee? a) Seaplanes on Lake Tahoe. b) Gliders in the area. c) Helicopter skiing at the local resorts. 3. 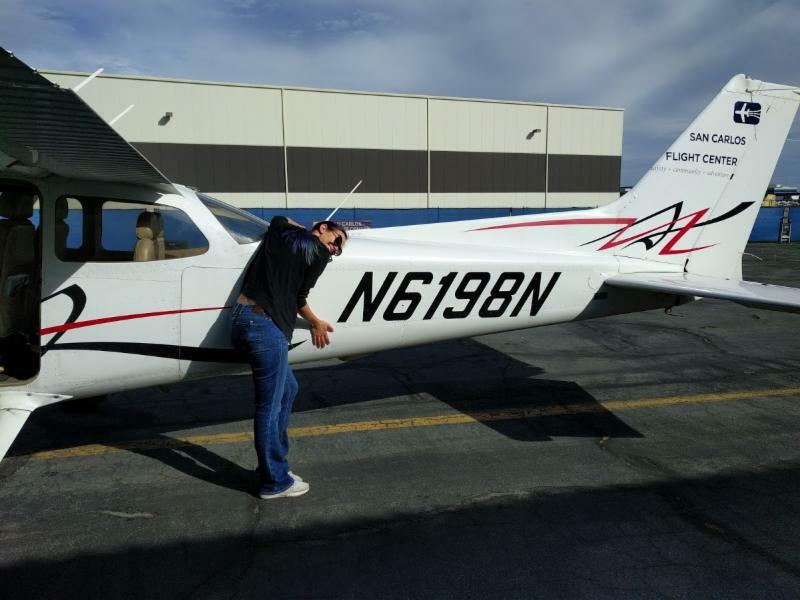 Before heading to Truckee, what should a competent pilot understand? a) Hazards at mountain airports. b) Aircraft performance at high elevation. 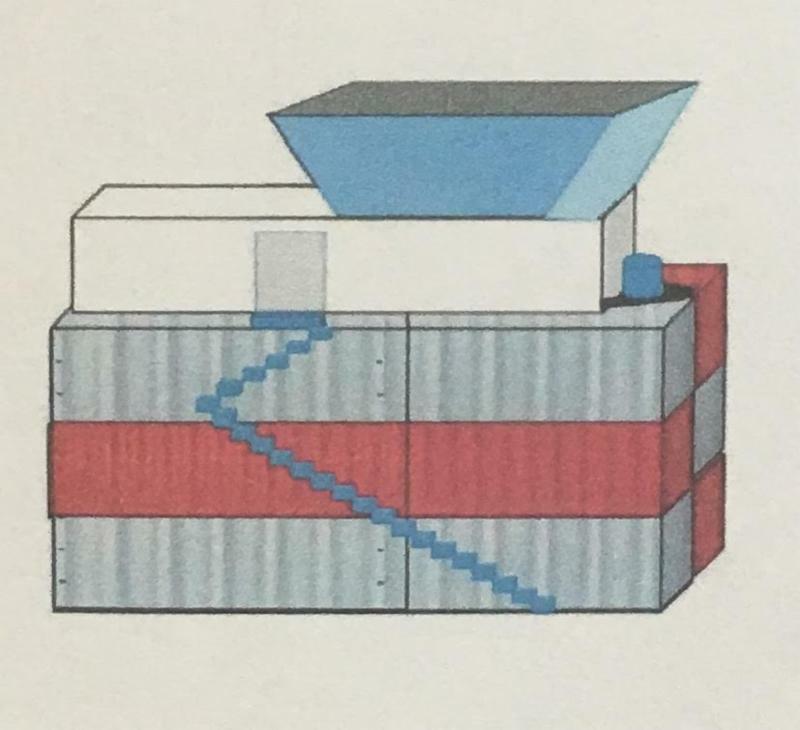 c) Local noise abatement procedures. Join San Carlos Flight Center and the Upwind Summer Scholarship recipients for our May 6th BBQ. Come by for some delicious food, pilot camaraderie, and to help support our 2017 class of Upwind Scholarship recipients. We will have special opportunities for those who donate day of including stickers and a dunk tank! Let us make sure that this Upwind Summer is the best yet! 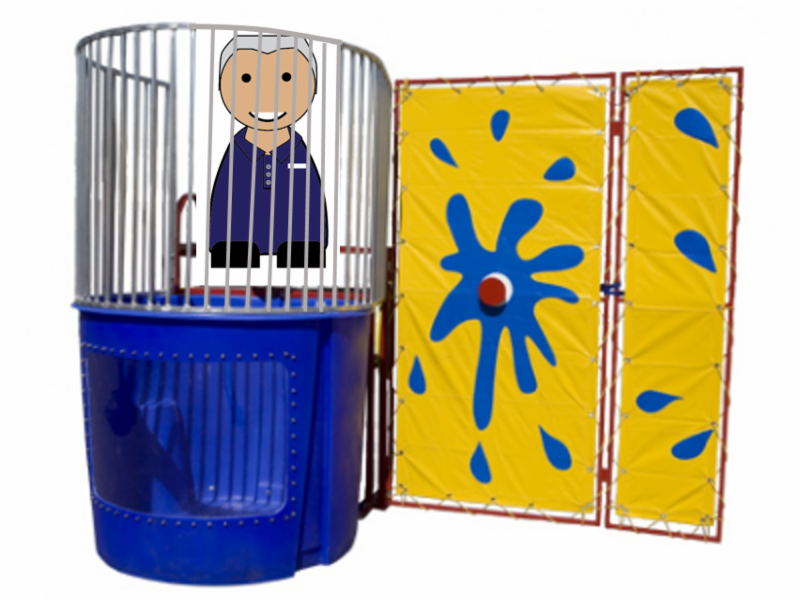 Donating to dunk someone is a great way to help out the recipients as well as kick off the summer with a return of our outdoor BBQs. You can be the one to dunk the likes of Dan Dyer, Gretchen Kelly, Flight Instructors, and more. This is sure to be a fun and exciting event, so bring along your friends and family and let's kick off the summer of flying with a slam DUNK! Make sure to check out the new paint job on Bay Flight 60! After a long trip down to Corona, the Warrior is back and looking better than ever. This along with the new interior in N714SW, is just one of the changes happening with SCFC's fleet. Pre-line inspections are almost complete on our new C172Rs, so look out for them out in Juliet parking by the end of the month. 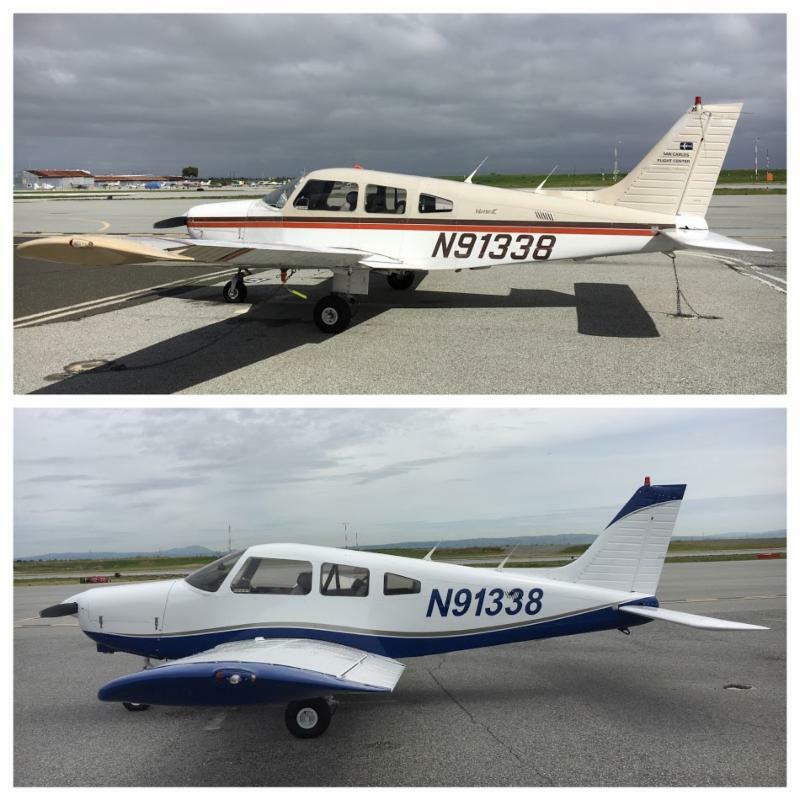 To schedule a flight in any of these new or updated aircraft, call (650) 946-1700 or email info@sancarlosflight.com. Be on the look out for a temporary tower coming to Truckee Airport (KTRK) at the beginning of this summer! Now that the warm weather is here, and the snow is beginning to melt up in the Sierra, the higher traffic in the Truckee and Tahoe areas are beginning to be controlled in order to increase safety and fluidity. The announcement comes with some things to expect: shorter transit times over the region, the tower will operate seven days a week, and there will be an emphasis on helping reduce neighborhood noise. When flying with family and friends, beware of distractions. Although it is great to give Uncle Fred that tour of the Golden Gate bridge while he is in town visiting, remember your first priority is safety. Brief all guests on your need to focus. Tell them to keep a sterile cockpit as you taxi to the runway, and warn them of your need to prioritize radio communications over in-cockpit chatter. Make sure you know how to use the ISOLATE feature on the intercom so that your guests can share the thrill of flight and comment on the amazing views without interfering with your traffic calls. Involve your passengers in the safety of the flight and instruct them how to call out traffic nearby. As a pilot, it is tempting to play the role of tour guide, but focus first on being pilot-in-command. 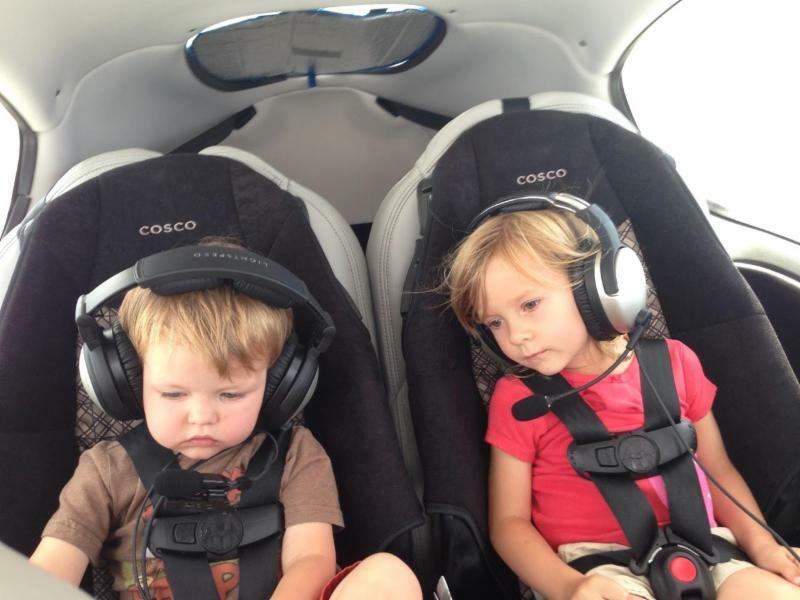 We want our family and friends to enjoy flying as much as we do. Do you primary job and keep them safe, the rest will happen on its own. Part of being a safe pilot is holding yourself and others responsible for their on-ground actions when they could be affecting the safety of yourself or others in an aircraft. One of the most common ways to mishandle your safety is forgetting the age old rule of "eight hours bottle to throttle". Make sure that you follow this and hold other pilots accountable to this whenever considering piloting an aircraft. Pilots are held to a higher standard than drivers of private automobiles. 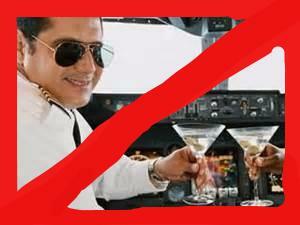 Pilots must be below the FAA's BAC limit of .04%. Be aware of how you are feeling physically, as alcohol can have other affects on your motor skills, so always follow the I.M.S.A.F.E. checklist before considering flight. 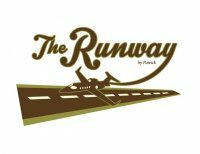 On June 3, 2017 Hiller Aviation Museum will be closing the runway for their "Biggest Little Airshow". 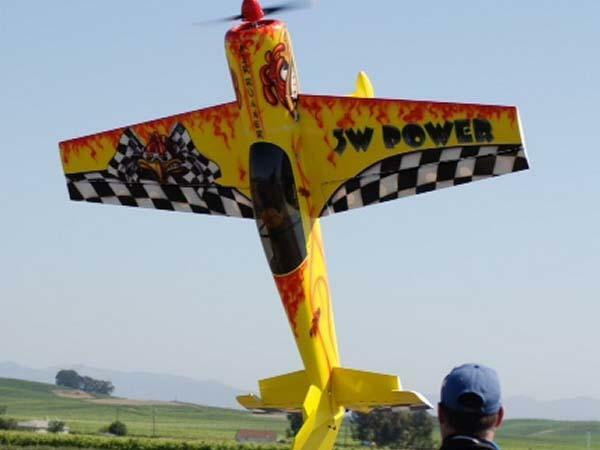 San Carlos Airport will close to regular traffic from 10:30 am to 1:00pm to allow realistic jet- and propeller-powered model aircraft to roll down the runway and into the sky to take their part in a unique aerial extravaganza including aerobatic helicopters, drones, quadrotors and more. Join us after for the SCFC Monthly BBQ! SCFC: Who or what inspired you to learn to fly? BK: I was terrified of flying and of heights when I was younger. I like to do things that force me to get over my fears, so learning to be a pilot seemed like a good way to confront both those fears at the same time. SCFC: You recently just soloed, tell us about how that felt and the biggest challenge you faced on your first solo flight? BK: I think I had two challenges - self doubt and weather. Because the weather was so terrible this winter I wasn't able to fly consistently, which made it very hard to build a stable skill set. Then, even after I was ready, I had to make three attempts before everything lined in that special way that gets your instructor to get out of the plane. 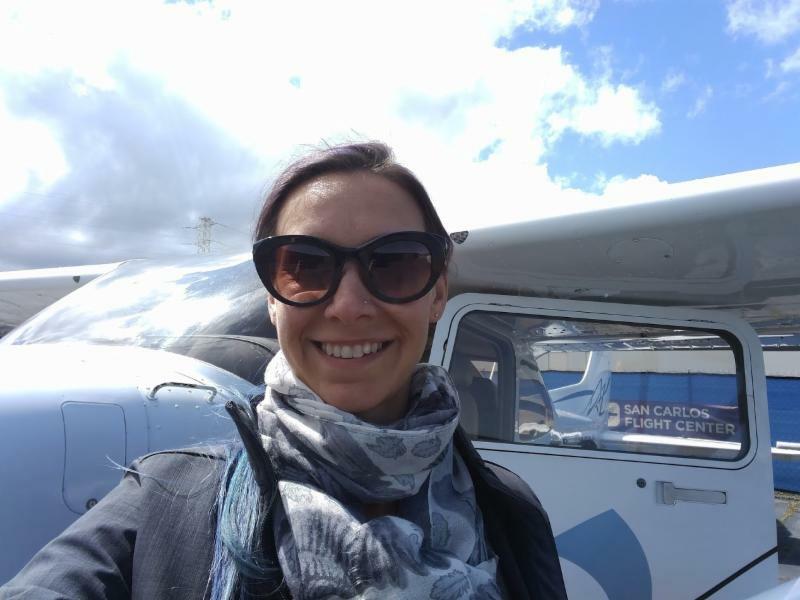 SCFC: How has the process of learning to fly helped you outside of aviation? Do you see a connection to learning how to fly an airplane to other things in your life? BK: I've become a much more patient driver, though I don't think my husband has noticed. BK: I'd like to get my private pilot certificate with IFR and complex aircraft ratings. I'd like to be able to fly my husband and myself to visit friends up and down the West Coast. I haven't thought much further than that. BK: I'm a bit of a nerd (Star Wars and the Lord of The Rings books are some of my favorite things), bread baking, tending my orchard (if anybody is fond of plums, let me know), anything that gets me outside and moving (I just learned to ski this winter). The Women of FLAG will welcome Betty Uhrig to share the lessons from her lifetime of aviation with us May 10th at 7:00pm! Uhrig has worked as an avionics technician, has 8000 hours in a C130, has flown the Commandant of the Coast Guard and flown executives around the world for Chervon. FLAG will also be welcoming Grace Zeller to present on Louise Thaden, an aviatrix who was the record holder for the Bendix Trophy Race in 1936. You won't want to miss the stories and lessons of these aviatrixes! Friendships and mentorships develop over hangar talk and refreshments. 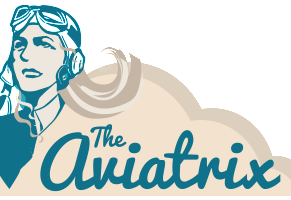 You may find your next flying partner or just come to hear other women's stories. Join us on May 10th if you are proud to Fly Like A Girl. 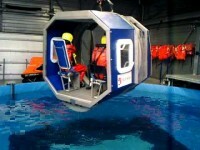 On May 8th at 7:00pm The Collective will explore the safety and training behind helicopter underwater egress training (HUET). This training exposes you with the resources and skills needed to stay safe and escape from a helicopter that has landed in water. As frightening as the idea of a helicopter forced water landing might be, talking about emergencies can better prepare you to respond to other emergencies. Learn the topics of HUET and find out where you can become certified. Our adventure seeking Bay Area FlyOutGroup (FOG) is visiting the Edwards Air Force base on May 11th-12th. Edwards is home to one of the longest functional runways in the world (at more than five miles), the Armed Forces' Flight Test Center, the Airborne Laser 747 project, and NASA's Dryden Research Center. 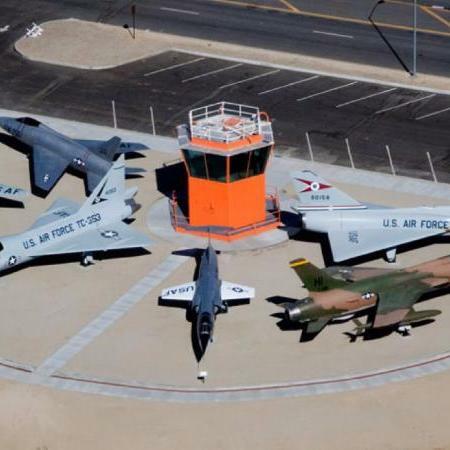 Landing at the Mojave Air and Space port, FOG members will enjoy a grand two-day event touring the testing museum NASA's research center and tour the base's restricted areas comprised of bombing ranges, supersonic corridors, radar intercept areas, and refueling areas. Sign up by Thursday May 4th to secure your spot on this trip. 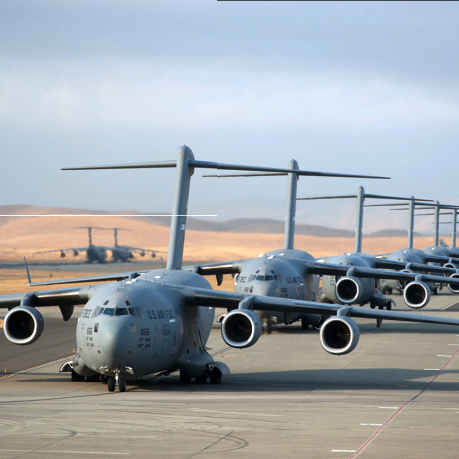 This Sunday the Young Aviator Weekend (YAW) will take an excursion to Travis Air Force base. May 7th the base will host an airshow featuring flights by Travis' Air Mobility wing, The Thunderbirds, and parachute drops by the Army's Golden Knights. This is a grand adventure for young admirers of aviation, technology, history, and the Armed Forces. Open to current and new YAW members, but make sure to sign up by Thursday, May 4th to ensure your spot on this adventure. Our destination this Full-Moon trip is The Runway restaurant at the Napa County Airport. Combining our Full-Moon Flyers event with a classic local historical treasure, our FOG pilots will dine in the glow of the full moon one of America's most picturesque locations. Full-Moon Flyers can be a great way for seasoned pilots to renew their night currency, student pilots to fulfill the night cross-country requirements, or just a fun way to spend an evening with family and friends. Click here to sign up for this event. The countdown to June's FOG Colorado trip has begun. It's five days and four nights of challenging, spectacular, exhilarating flying adventure combined with a mountain retreat. 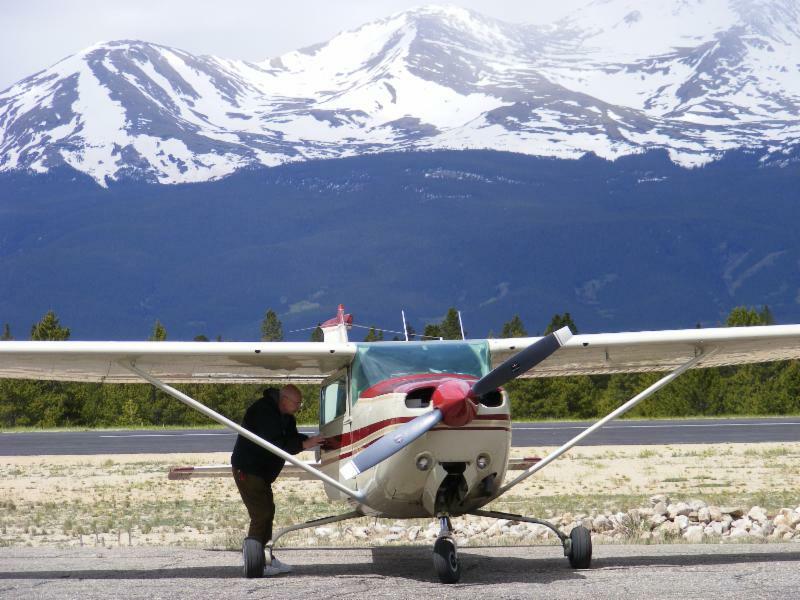 It's safety in numbers as you practice mountain flying in the Wasatch and Rocky Mountain ranges with a CFI on board and in the company of several other planes. It's incredible photo opportunities as you fly stunning mountain passes, traverse the majestic Grand Canyon, and maybe even stop in to Death Valley. We launch early in the morning on Wednesday, June 28 and return late Sunday, July 2. SCFC is the Club for You! Are you tired of your old flying club? It's time to make the switch! Just for May, if you become a renting or community member and you show us this newsletter, your membership account activation fee and May dues will be waived! That's a $100 value for doing what's right for you anyway. Give us a call, and welcome to SCFC.